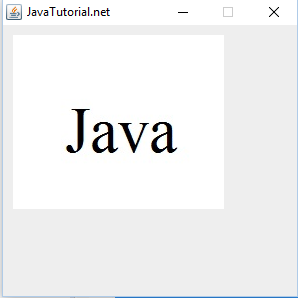 Java provides us an easy way to draw text and graphics using GUI. Graphics class in AWT package allow us to draw primitive geometric types like line and circle. Other than this it can also display text. This tutorial will explain various functions of Graphics class used to draw shapes and text. Graphics class provides a method Graphics.drawline(int x1, int y1, int x2, int y2) to draw a line on the screen. While x1 is the x-coordinate of first point of line and y1 is y-coordinate of the first point of line. Similarly x2 and y2 are the coordinates of second point of line. 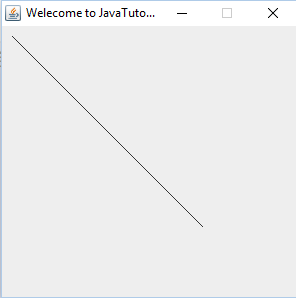 Here is the program which displays a line. 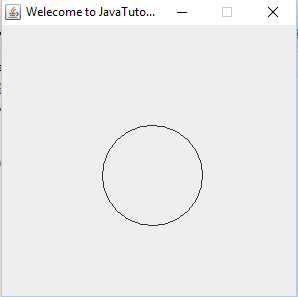 You can draw circle and oval with the help of method Graphics.drawOval(int x, int y, int width, int height). This function serves both purposes. X, and y are the position, the starting point on the screen and width and height are the parameters to set width and height of oval or circle. For circle set same width and height. 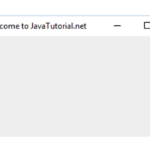 Here the program shows code to draw circle on the screen. 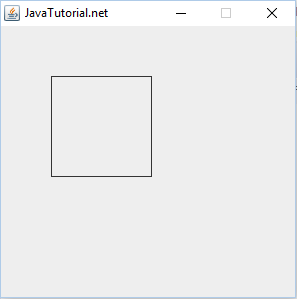 Graphics class provides a method Graphics.drawRect(int x, int y, int width, int height) to draw a rectangle or a square. First two parameters shows starting point and last two parameters shows width and height of rectangle or square. For square width and height should be same. 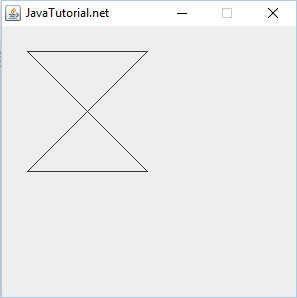 Drawing a polygon is very easy Graphics class provides a method as Graphics.drawPolygon(int , int , int points). First parameter is an array containing x values of all point of polygon, second is also an array containing y values of all points of polygon, while the third parameter shows number of points. To draw text on the screen, you can use Graphics.drawText(string text, int x, int y) method. First parameter is the string that you want to display and last two parameters are the value of point, where this text will start. Graphics class provides Graphics.drawImage(Image, int x, int y, ImageOberver observer) method to draw an image. While Image is the class, you can use getDafaultKit() method to get the address of image. Place your image in your project’s folder. Here is the link you can download complete code. 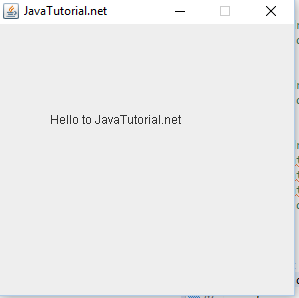 Java Core circle, display graphics, display text, java, JFrame, line, polygone, rectangle, Swing. permalink. I dont know…the code doesnt put out anything if run on my machine. I dont know whats going on, but it just does nothing at all. No errors or warnings either. This is amazing! 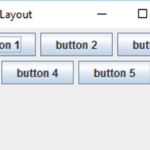 Just what I was searching for , the button tutorial is great as well , Thanks!